Motor Type: 4-Pole Semi-synchronous Motor. Rotational Speed: 2-Speed (33-1/3 & 45 rpm). 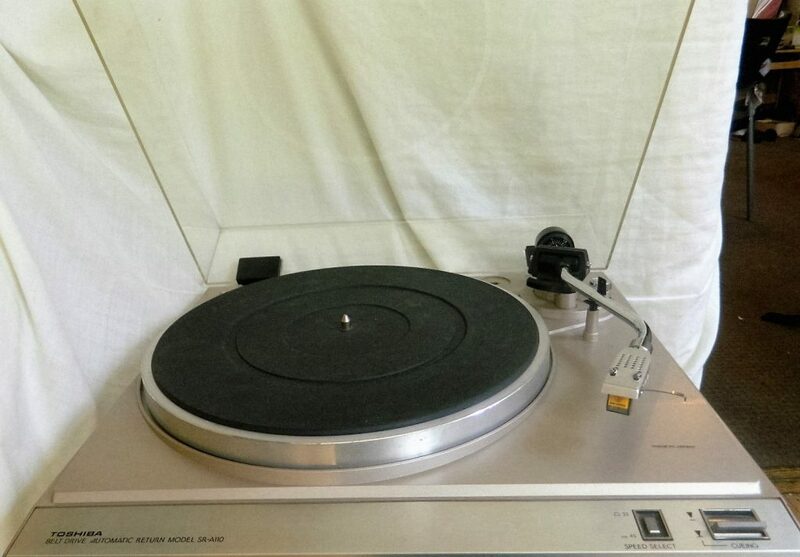 Turntable Platter: 31 cm. Diecast Aluminum. Effective Tonearm Length: 215 mm. Tonearm Tracking Error: +/- 2o. Net Weight Range of Replaceable Phono Cartridges: 12 – 20 grams including Headshell and Lock Nut. WOW and Flutter: DIN: Zero to Peak 0.12%. WRMS: Less Than 0.08%. Rumble: DIN A: Lower Than 35 dB. DIN B: Lower Than 60 dB. Power Supply Voltage: 120 Volts AC (60 Hz.). Weight: 11.45 Lbs. (5.2 kg.). Dimensions: 422 mm (W); 359 mm (D); 139 mm (H). Included Accessories: Clear Dust Cover with Hinges & 45 RPM Record Adaptor.